Following GP training, Dr Ayres has more than 20 years experience in NHS menopause clinics and for more than 10 years has offered women private consultations. Women may need considerable time to discuss exactly what their options are in managing their menopause. The options could include hormone replacement therapy (HRT) in which case consideration and time is spent on the risks and benefits that apply to each individual. Alternatively, non-hormonal and alternative therapies may be discussed. Women already taking HRT may wish to discuss the advisability of continuing treatment or perhaps stopping it. Following GP referral or when involvement by the GP will be required for prescribing purposes, follow-up letters will be sent to the GP with the express permission of the patient. 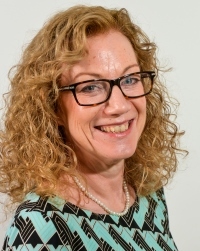 In addition to clinics, Julie is actively involved in both undergraduate and postgraduate doctor training, as well as running a website, producing newsletters and organising update meetings for healthcare professionals via the Yorkshire Menopause Group. Dr Ayres acts as local expert for the media (newspapers, radio and television), on the menopause and HRT and has recently been elected to the Council of the British Menopause Society. In addition she has participated in consensus meetings both in the UK and abroad and regularly attends international conferences. Dr Julie Ayres does not hold a share or financial interest in this hospital, another Nuffield Health hospital or the company. Dr Julie Ayres does not have a share or financial interest in equipment used at this hospital or another Nuffield Health hospital. Dr Julie Ayres does not hold any paid advisory role(s) at this hospital or on behalf of Nuffield Health.